With towering cumulonimbus clouds developing in the eastern sky over the Soo Locks, the 519 foot S/S Alpena is departing the Poe Lock in St. Mary�s River and upbound for Duluth, MN. While in Duluth, the self-unloading cement carrier will refuel at the Calumet Fuel Dock then shift over to the Lafarge Dock in Superior, WI to unload its cargo of cement. 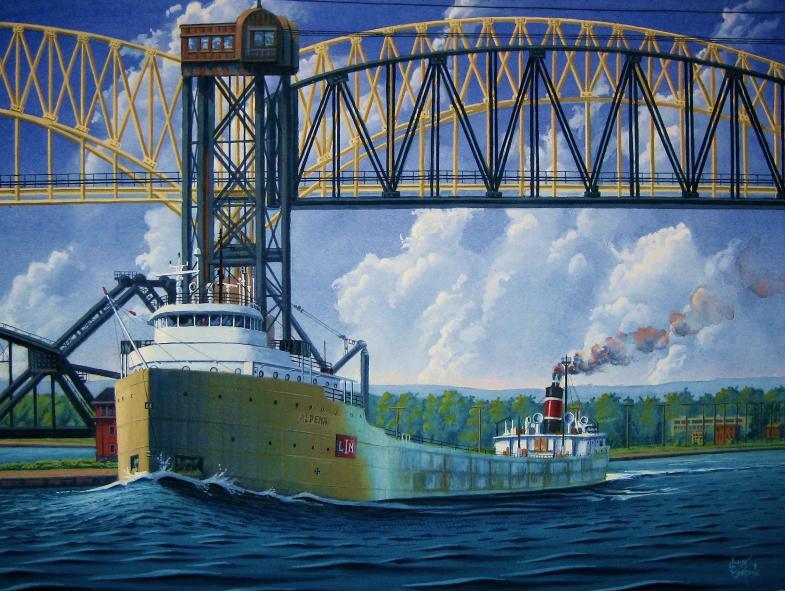 The shipment of cement originated from its home port of Alpena, MI on Lake Huron and the vessel is now passing under both the International Bridge for highway traffic and the Sault Ste. Marie Railway Bridge between Sault Ste. Marie ON and Sault Ste. Marie, MI.